If you happen to be in the Liverpool area, it might be worth checking out Friction. 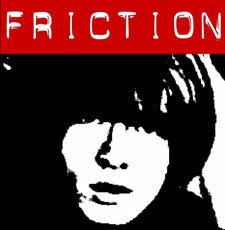 Friction is the work of Will Sergeant, probably best-known as the guitarist in Liverpool band Echo and the Bunnymen. Early doors it’s described as ambient tunes, but when club hours start, it’s a mix of 60s soul and beat, psych and the odd indie and punk classic. The night runs every Thursday at Korova, 39-41 Fleet Sreet, Liverpool, L1 4AR. it starts around 8pm and runs until late. And check out our club guide for a club near you.